Every night across Japan, these bright red chochin, or lanterns, draw millions of people in for a drink and a meal. The izakaya is a casual style restaurant. Every night across Japan, these bright red chochin, or lanterns, draw millions of people in for a drink and a meal. The izakaya is a casual style restaurant. 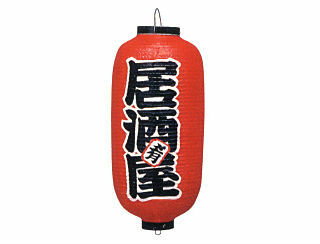 As the characters on the lantern literally mean a place that serves alcohol, it is the traditional Japanese equivalent of a pub. The local izakaya is always a center of lively conversation and a place to meet friends old and new.